Though enjoying a surplus of benefits from Sino-US trade despite deficit in goods, the current US administration has resorted to measures that are against WTO principles and agreements, distorting multilateral trade rules, and posing risks to Asian businesses, according to officials and analysts. Fu Ziying, China’s international trade representative and vice-minister of commerce, said in a Sept 25 press briefing in Beijing that the US has gained more from the bilateral trade. On Sept 24, China issued a 71-page white paper that extensively discusses how US reaped “extensive economic benefits from the opportunities and results generated by China’s growth”. The white paper titled The Facts and China’s Position on China-US Trade Friction was issued on the day the latest round of US tariffs on US$200 billion of Chinese imports kicked in. The retaliatory Chinese tariffs on US$60 billion in US goods also took effect the same day. Nearly 60 percent of China’s nominal trade surplus with the US comes from American enterprises operating in China, while China recorded a services trade deficit of US$54.1 billion with the US last year. Bilateral trade has been growing rapidly ever since China and the US sealed diplomatic ties in 1979. Trade in goods between China and the US amounted to US$583.7 billion in 2017, a 233-fold increase from 1979 as well as a sevenfold increase from 2001 when China joined the World Trade Organization. The US is China’s biggest export market and sixth-biggest source of imports. Last year, the US accounted for 19 percent of China’s exports and 8 percent of China’s imports. China is likewise the fastest-growing export market for the US, accounting for 8 percent of US exports in 2017. Citing UN statistics, the white paper said US exports of goods to China amounted to US$129.89 billion, a 577 percent increase from US$19.18 billion in 2001, and far higher than the 112 percent average growth. 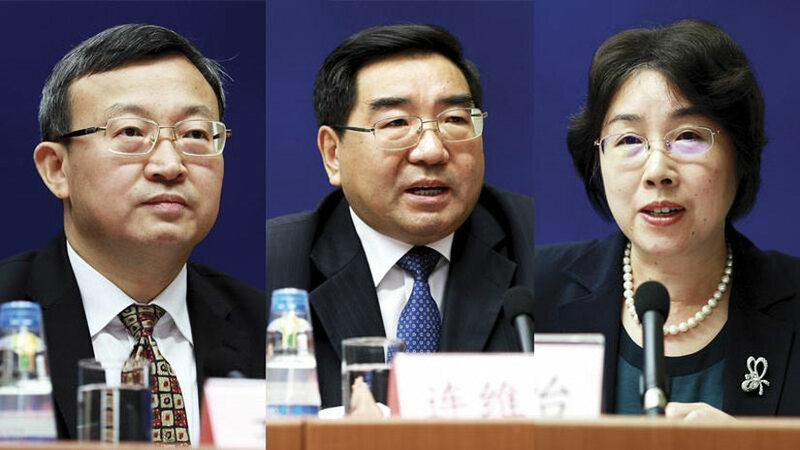 Senior Chinese officials during the same Sept 25 press briefing said that accusations regarding China’s alleged intellectual property theft and forced technology transfers are unfounded. He Hua, deputy director of the National Intellectual Property Administration, said China is effective in protecting intellectual property rights (IPR), noting the country’s progress in IPR protection “is widely acknowledged”. He said a survey conducted by an independent domestic organization last year showed the score measuring the level of satisfaction among wholly foreign-owned companies regarding China’s protection and IPR enforcement was 76.94, higher than that for all types of enterprises. “No Chinese laws or policies force transfer of technology by foreign enterprises,” Wang said. He added that technology transfers are the result of normal business negotiations between foreign and Chinese enterprises. The officials said the trade conflict is set to have an impact on the Chinese economy, but risks are generally under control. “China is fully capable of hedging the impact by expanding domestic demand and promoting high-quality development,” said Lian Weiliang, vice-minister of the National Development and Reform Commission. The Asian Development Bank (ADB) said solid domestic consumption and rapid expansion of services will help the Chinese economy to grow by 6.6 percent this year. The Manila-based lender said in its latest Asian Development Outlook report that China’s GDP growth will ease to 6.3 percent in 2019, on the back of lower demand growth and the risk of escalating trade tensions. But the ADB said China’s monetary and fiscal measures will help to keep growth on track. Analysts interviewed by China Daily Asia Weekly said the trade tension — and its possible impact on the economy — will also affect most developing Asian economies. This is especially true for Southeast Asia, noted Justino Calaycay, head of research at the Manila-based brokerage Philstocks Financial. Calaycay said China is the biggest trading partner of Southeast Asia. As such, a weaker Chinese economy — and export demand — will weigh on the growth of Southeast Asian economies. 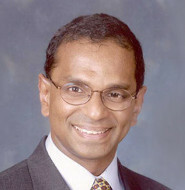 Manu Bhaskaran, CEO of Singapore-based research and advisory firm Centennial Asia Advisors, said Southeast Asian economies are “highly open to trade and investment flows, and any development which hindered the growth of flows of goods, services and capital would hurt us”. The ADB said the trade dispute has “so far had little impact on growth in developing Asia”. The East Asian region, which includes China and South Korea, is forecast to expand by 6 percent in 2018. Likewise, the Southeast Asian economy is expected to grow by 5.1 percent. But the ADB said an escalation of the trade tension “would have greater consequences”. It would not only slow growth in both the US and China, but other developing Asian economies would “feel the pinch as production slowed across global value chains”. 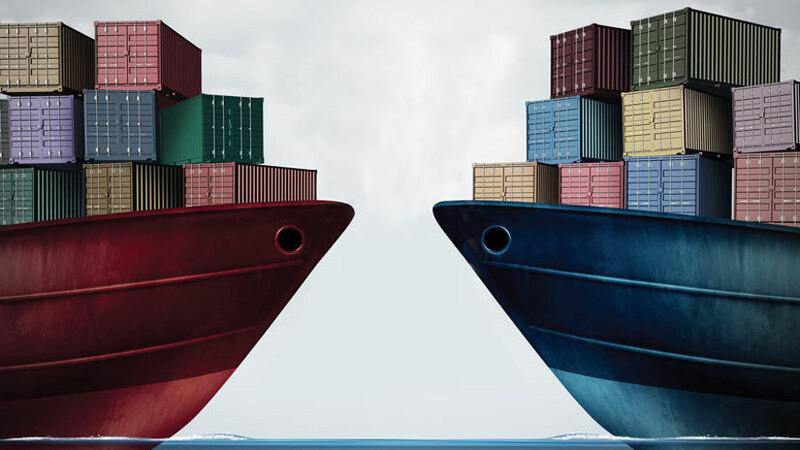 Nomura analysts Chetan Seth and Jayant Parasramka said in their latest research note that there are no “net winners” in the ongoing trade conflict as Asian/Southeast Asian supply chains “are closely intertwined with the Chinese export engine”. Valerie Anne Mercer-Blackman, senior economist at the ADB’s Economic Research and Regional Cooperation Department, said a trade tension will have an ‘indirect’ impact on Southeast Asian economies. The high tariffs will ease US demand for Chinese goods, which will in turn reduce the demand for intermediate goods. China is Southeast Asia’s biggest export market, with most exports classified as “intermediate goods”. Such items, including semiconductor chips and screens, are shipped to China for use in the manufacturing of products for global export. Blackman cited latest ADB data showing trade frictions have so far had minimal impact on developing Asian economies. “But if the trade tension escalates, it will dampen regional growth,” she told China Daily Asia Weekly. Escalating tariffs and Chinese retaliation will lower global trade volumes as well, according to Prof Tang Zhimin, director of China ASEAN Center of Panyapiwat Institute of Management in Thailand. He said ASEAN companies that are part of the supply chain for the US and Chinese markets could be affected, esp. those based in Thailand, Singapore, Malaysia, Vietnam and the Philippines. On the plus side, Blackman said a trade dispute can encourage ‘trade redirection’, with manufacturing bases moving to Thailand, Vietnam and Malaysia. But she said this could take a while and might not even be realized. She added that an escalating tension will create economic uncertainties, dampen business sentiment and discourage investments. Nomura’s analysts Seth and Parasramka said that while a shift in manufacturing could potentially favor Southeast Asia, “these gains are likely to be offset by other areas which could potentially lose, given that ASEAN (the Association of Southeast Asian Nations) is still part of supply chains catering to the Chinese export base”. “If China’s trade growth suffers, there could be a potential impact on ASEAN supply chains as well,” they said. Centennial Asia’s Bhaskaran said a possible relocation of manufacturing bases from China to ASEAN is “a small and uncertain positive”. This cannot offset the bigger losses that will be incurred from disrupted trade, lower investments and weaker business confidence, he said. Tang of Thailand’s PIM also noted there could be opportunities for businesses to supply American market with products made outside China, and for those supplying Chinese market with products made outside the US. “The variables to be considered include the scope of the exception list, the exchange rates, the price elasticity of demand and switching costs of supply,” he said. Erin Ennis, senior vice-president of the US-China Business Council, urged negotiations to resolve the ongoing trade conflict. “Issues in the bilateral relationship are difficult ones, but they are solvable. Solutions will require detailed negotiations to address the problems — but it will be worth the time and effort for both economies, and for both US and Chinese companies,” she said. 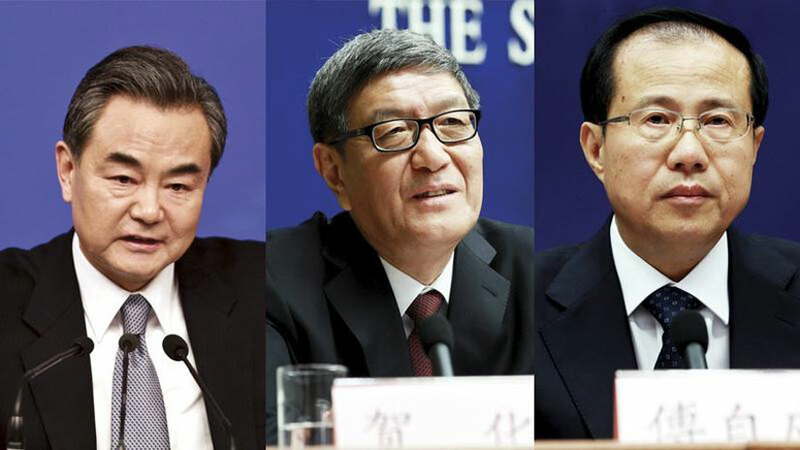 Wang Yi, state councilor and foreign minister, said that China is committed to further opening up its economy and resolving bilateral differences through consultations among equals. He made the comment on Sept 25, during his meeting with leaders of the National Committee on US-China Relations and the US-China Business Council in New York. China will further encourage major foreign-invested projects, lower import tariffs and ease customs procedures to expand opening-up and enable a better environment for foreign investment, it was decided at a State Council executive meeting presided over by Premier Li Keqiang on Sept 26. An online filing process will be introduced to regulate foreign investment in China. Unified market access criteria will be applied to both Chinese and foreign investment in areas outside the negative list. Large-scale foreign investments eligible for major project development plans will receive support on land and sea-use approval procedures, and an accelerated review process of environmental impact and logistical costs will be implemented. “This year marks the 40th anniversary of reform and opening-up in China. Given the evolving situation at home and abroad, it is important to firmly commit to fostering greater opening-up and attract foreign investment to help anchor market expectations,” Li said. Foreign investment reached US$86.5 billion between January and August 2018, a 6.1 percent increase year-on-year, the Ministry of Commerce said. Starting on Nov 1, import tariffs on a total of 1,585 items will be slashed. The average tariff rate for machinery and industrial instruments will be cut from 12.2 percent to 8.8 percent, textile and construction materials from 11.5 percent to 8.4 percent, and paper and some other resource-based products and primarily processed goods from 6.6 percent to 5.4 percent. Tax brackets will be consolidated for goods in the same or similar categories. Tariff cuts introduced to date will help reduce corporate and consumer tax burdens by nearly 60 billion yuan and lower China’s overall import tariff rate from 9.8 percent last year to 7.5 percent. More effort will be made to expedite customs clearance. It was decided at the meeting that by Nov 1, the number of customs clearance documents subject to verification at ports will be reduced from 86 to 48. Do you think an escalating trade war would hurt ASEAN economy over the long term? Would this have a huge impact on the region considering China is the region’s biggest trading partner? Yes, ASEAN economies are highly open to trade and investment flows and any development which hindered the growth of flows of goods, services and capital would hurt us. Even Indonesia with a smaller exportables sector will be affected by factors such as commodity prices and capital flows to fund its current account deficit, all of which would be hurt by a trade war. China is the region’s biggest trading partner in gross terms. But in value added terms it is somewhat less important, with the US and other developed economies still very important. The latest ADB and Nomura reports said the trade war may in fact benefit ASEAN as countries like Vietnam can be considered as a replacement for China as a global manufacturing base. Any thoughts on that? Yes, there might be some production relocation but this is a small and uncertain positive compared against the more generalized losses in trade, investment, business confidence, commodity prices etc. It is also unclear how much positive impact there would be in terms of production relocation for countries other than Vietnam.